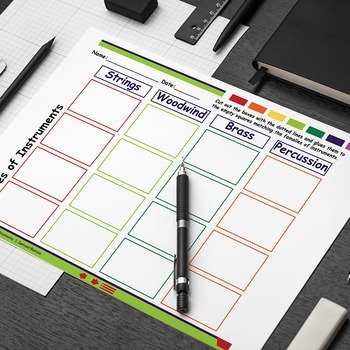 Another quick-and-easy activity to help your students about the different families of musical instruments (strings, percussion, woodwind, and brass). This package includes the activity worksheet with the answer sheet. Bonus: it also includes 16 musical instruments slides to review the activity or use it when you are teaching it, a total of 19 pages.